New Adult! 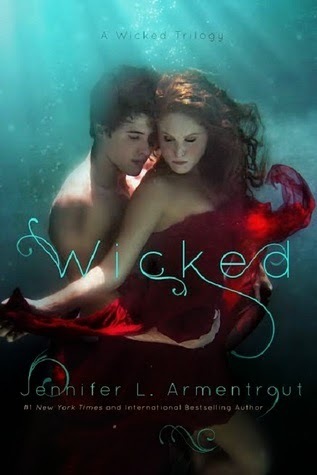 Jennifer L. Armentrout! Paranormal! Hot guy! Faeries! JLA! Hot guy! Yep. I read it. And I reeeeeeeeally enjoyed it. Almost loved. Less than a millimeter away from epic love feelings. And who knows, I may totally change my mind and feel epic love feelings later. Like, I’m writing this review less than a week after I’ve read the book, and originally I was going to give it 4 stars. Now that I’m thinking about it, I’m giving it 4.5. Because I’m cool like that. I love JLA’s paranormal books. I think that’s obvious. White Hot Kiss, Obsidian, and Half-Blood are some of my faves. So when I heard that this book was only $1.99 on Kindle, I pressed that Buy with 1-click option immediately and started reading it on my phone. And I did not regret it. JLA has created another wonderful paranormal world. I’m not even a huge fan of fairies. I’ve read Melissa Marr’s Wicked Lovely books (okay, only the first three, but I’m working on it) and Julie Kagawa’s Iron Fey series, but fairies were never some of my favorite paranormal creatures (they go in the same category as ghosts, vampires, and psychic powers in that regard). But JLA didn’t make the fairies the main characters, she made them the bad guys. That helped A LOT! The plot of the book was solid. I feel like it could have been better, considering WHK and Half-Blood were such wild rides. I just wanted a little more. And unfortunately, the ending was a tad bit predictable. I enjoyed it, but I knew it was coming. Now for the characters. Ren is a babe. I’m pretty sure those are the only types of boys JLA knows how to write. And this time, JLA gave one of her boys a motorcycle! The drool was flying everywhere ladies and gentlemen. But Ren isn’t just a hot guy; instead he’s a boy with a sad background (with alive parents! Yay! Living parents for the win!) and a job (Yay! Employed characters!). Ivy is also a good character. I love every single mention of her hair. It cracked me up and made me extremely grateful for my own hair—and trust me, that doesn’t usually happen. All in all, I can’t wait to read book #2, Torn. Sadly, it’s just another JLA book that I have to wait a torturously long amount of time to get my hands on.